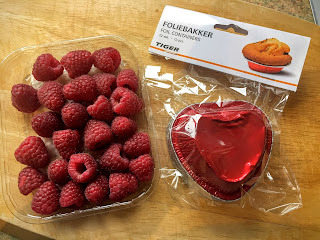 I'm a total sucker for anything heart shaped and when I came across some heart shaped foil tins in Tiger, I was sold. And as Valentines Day is just s few days away, why not create a romantic little cake for the one you love? 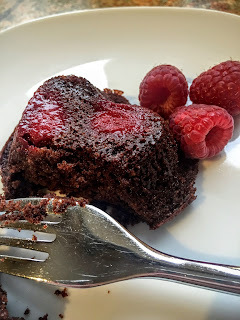 The dark chocolately sponge with ruby juicy raspberries are always a match made in heaven. 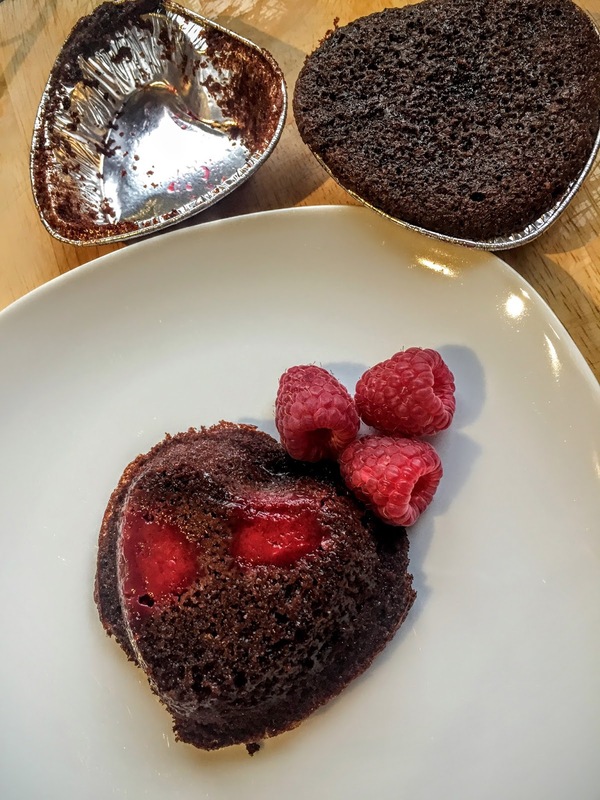 You could adorn it with a chocolate ganache icing or perhaps some whipped cream spiked with Creme de Framboise liqueur for a very decadent treat. 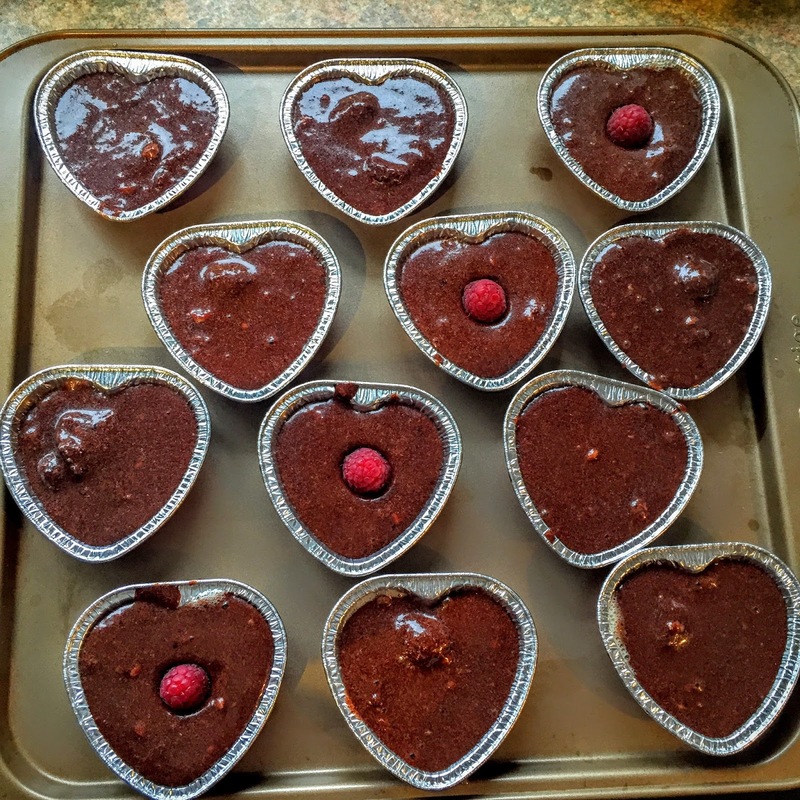 Preheat your oven to 180c / Gas Mark 4 and brush the inside of each tin with cake release spray (or a dab of unflavoured oil). 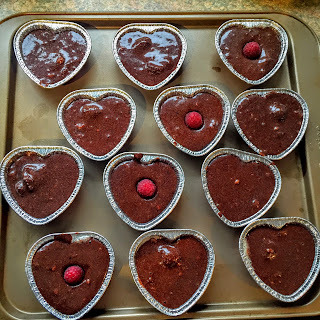 Put the tins onto a large baking sheet. 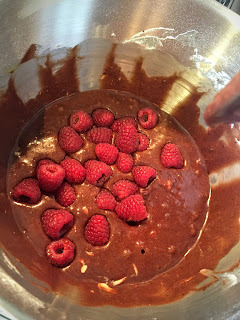 Dissolve the cocoa powder in the boiling water in a large bowl or food mixer - stir well until it becomes a smooth paste. Now add the eggs, milk, flour, baking powder, butter and sugar and mix gently until well combined. 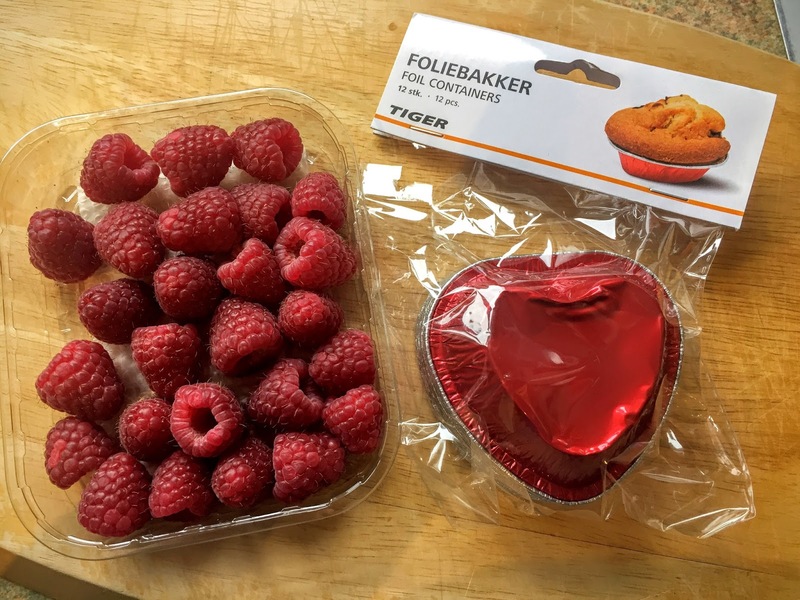 Fold in the raspberries and divide the mixture between the foil tins, stopping 2cm from the top*. 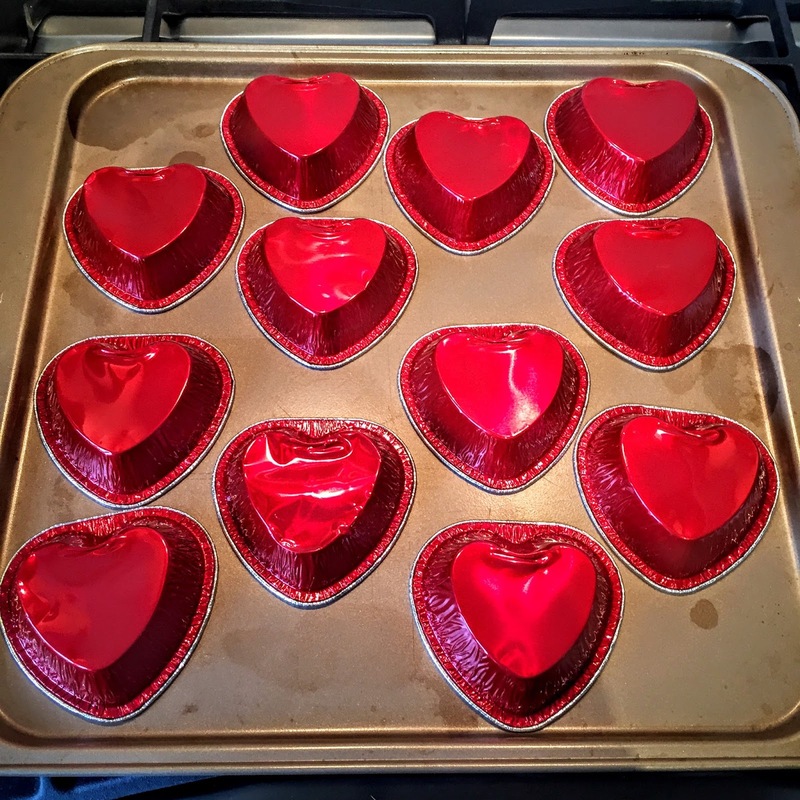 * This recipe will fill 12 of the heart shaped tins and an extra 7-8 cupcakes, or 2 standard 8-inch sponge tins if you want to make a classic cake.